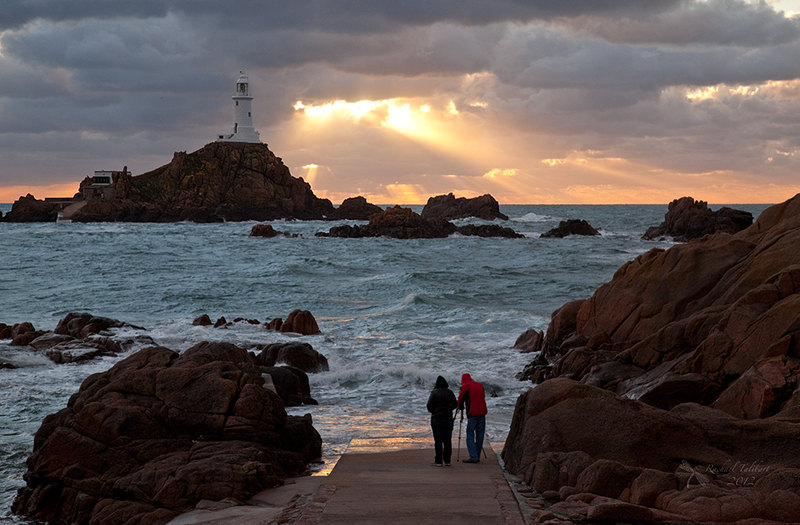 At the risk of boring everyone, I thought I’d post some more pictures of La Corbiere, Jersey’s iconic lighthouse. 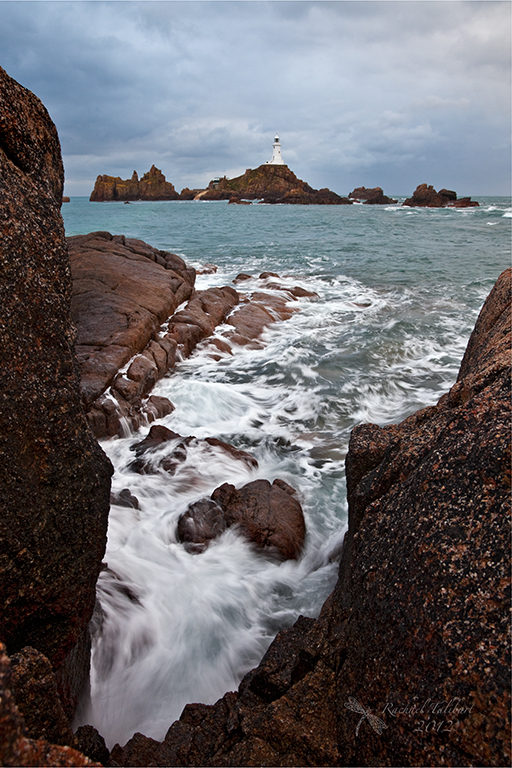 Reached by a causeway at low tide (a claxon sounds to warn visitors foolish enough to ignore a rising tide), the lighthouse is attractively perched atop a granite outcrop, high above the Southwestern tip of Jersey’s coast. It’s an attractive spot for watching sunset but, even if the sun does not put in an appearance, the view is stunning and the rocky foreshore provides plenty of nooks and crannies as foreground interest for the intrepid photographer. 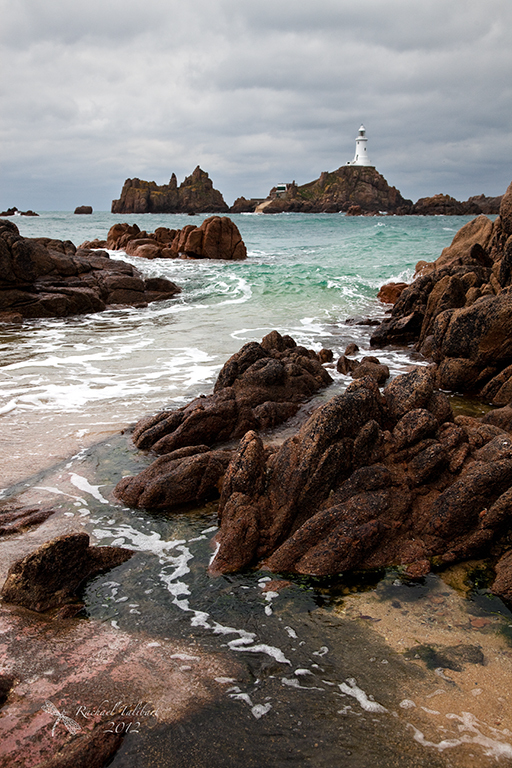 One day I hope to be there in a storm to catch waves crashing over the lighthouse. 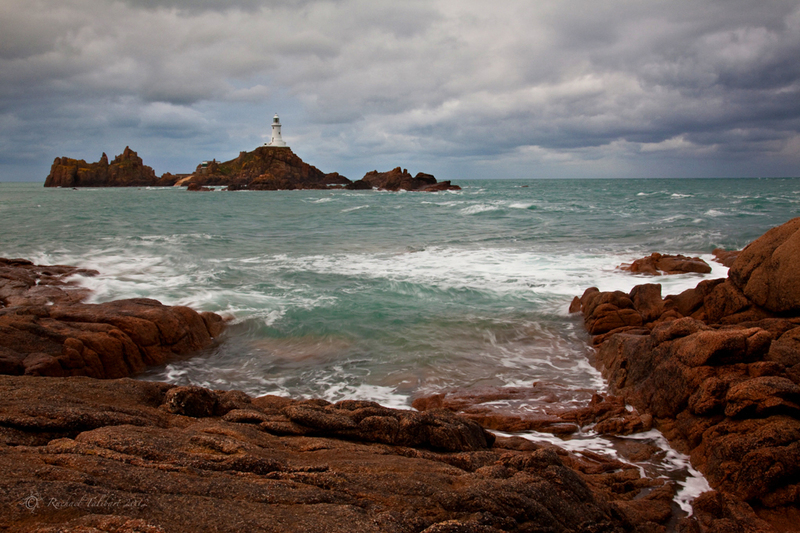 In the meantime, however, here are some more shots taken at this lovely, windswept place. 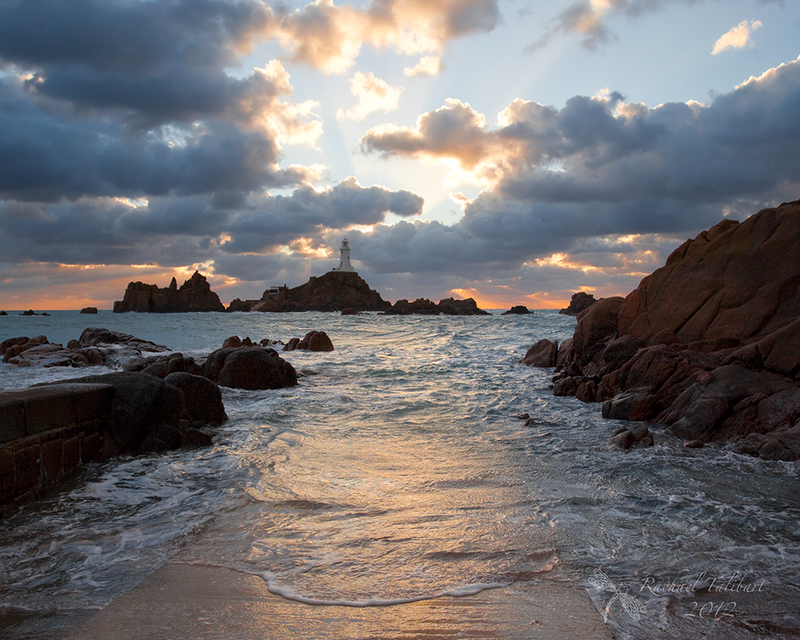 This entry was posted in photography, travel and tagged Channel Islands, Jersey, La Corbiere, landscape, landscape photography, lighthouse, photographs, photography, seascape, sunset by Rachael. Bookmark the permalink. Great compositions, perspectives, and overall execution. The first and third I find especially worthy of singling out. A wonderful location but looking at the last couple of images, I don’t think I’d need a claxon. It looks quite scary and I’d probably spend most of my time looking over my shoulder to check the incoming tide anyway. My favourite is the last one. 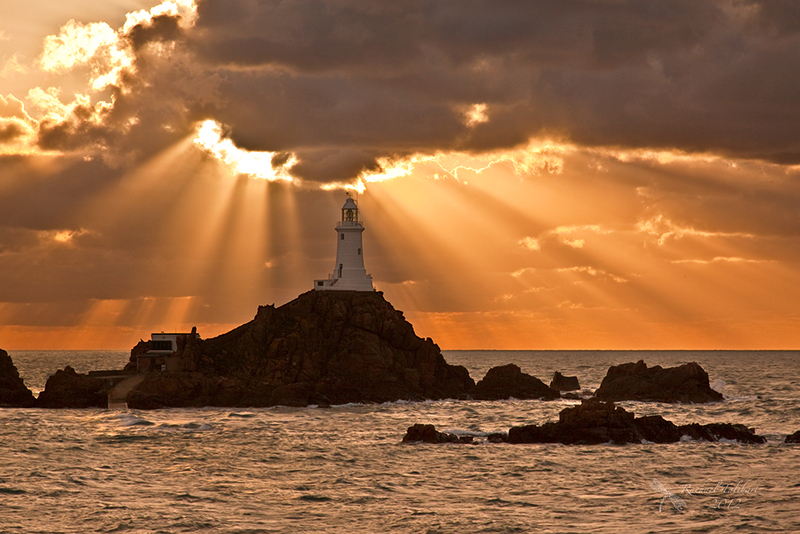 I like the way the crepuscular rays are either side of the lighthouse but not behind it. I particularly like number two as well. Rachael, these are all so spectacular. I’d never get bored looking at this scene with all its changing moods…. there’s no way you could bore anyone with pictures like these! especially not with the last and second to last (my favourites). These are absolutely gorgeous! I love them all but the last two or my favorites. “or” is a typo. I meant “are”. Beautiful photos, Rachael. My favorite ones are the first and the last image. 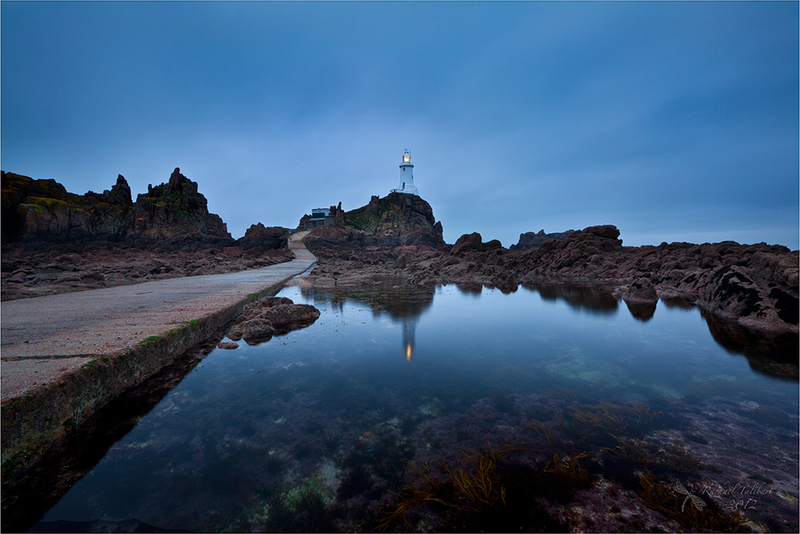 I really like how the path leads the eyes to the lighthouse on the first photo. And the last image with the golden sun’s rays is just spectacular. The word breathtaking is wildly overused but in this case entirely appropriate. I love them but especially that first one with it’s glorious blueness..
Gorgeous series of shots of your windswept muse!